yourloved one at sunset. Riviera Maya beaches can turn your vacation dreams into reality. Here you’ll find beautiful beaches, warm translucent waters, and picture-perfect weather that lasts all year long. The photos don’t lie. The Mexican Caribbean is that blue, and the beach sand is that dazzlingly white. With 72 miles of beach stretching along the Caribbean coastline, the Riviera Maya has something for you. The beaches are one reason why so many visitors return to this paradise. Akumal is a small town between Playa del Carmen and Tulum on the Yucatan Peninsula of Mexico. In the heart of the Riviera Maya just 37 km from Playa del Carmen and just one hour south of Cancun, Akumal is one of the best places to visit in the Mexican Caribbean for its great variety of beautiful beaches and tourist services. Akumal really is the jewel of the coastline. Akumal has become a popular beach destination in the Riviera Maya. 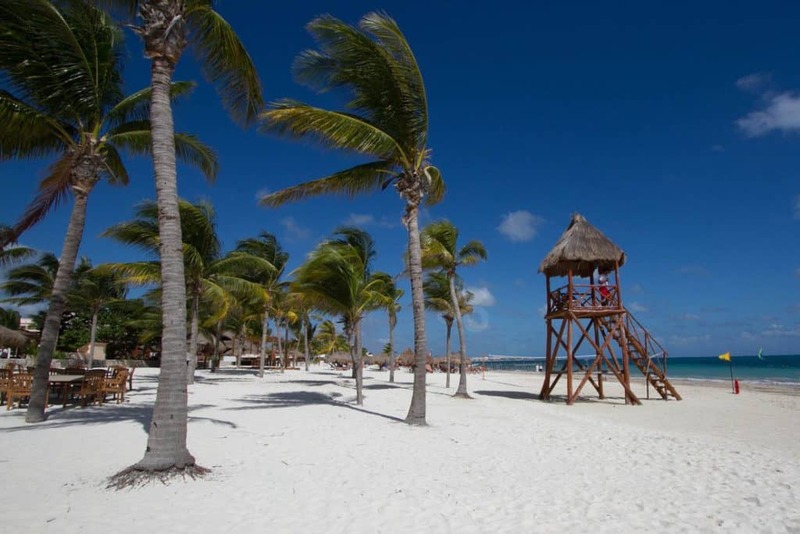 This beach town boasts some of the finest white sand beaches in the Riviera Maya with lots of natural palm tree shade. 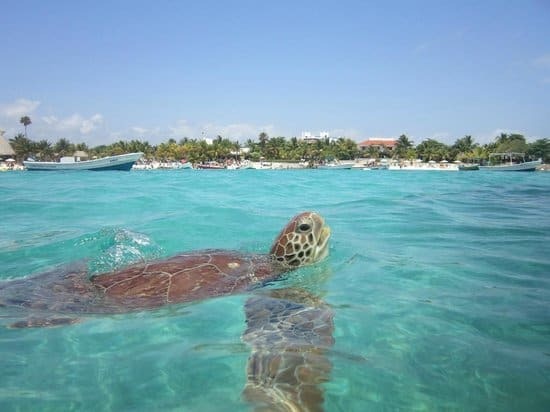 A wide stretch of Akumal’s gorgeous beaches includes “Las Bahias de Akumal” – a series of five bays starting to the south of Yal-Ku Lagoon with North Akumal Beach and ending at Aventuras Akumal to the south. All the bays are great for swimming, snorkeling, kayaking, diving, beach combing and socializing. The Central Akumal beach features a white, sandy beach with beach side shops, restaurants, dive shops and homey beachfront accommodations. Lol Ha Restaurant and Beach Bar is a local favorite beach side hangout where you can watch local sports during the day and have a cool beach side dinner in the evening. The North Akumal Beach stretches around Half Moon Bay. The bay waters are calm as this stretch of the beach is protected by a reef break. Being close to Yal-ku Lagoon , a fresh water river that runs out to the sea, North Akumal Beach is a colorful underwater world adventure. 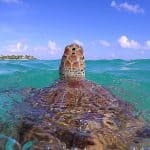 North Akumal has always been a hot destination spot for snorkelers and scuba divers searching for tropical fish, turtles and coral beds. South of the main Akumal beach you’ll find Jade Bay, South Akumal and Akumal Aventuras. 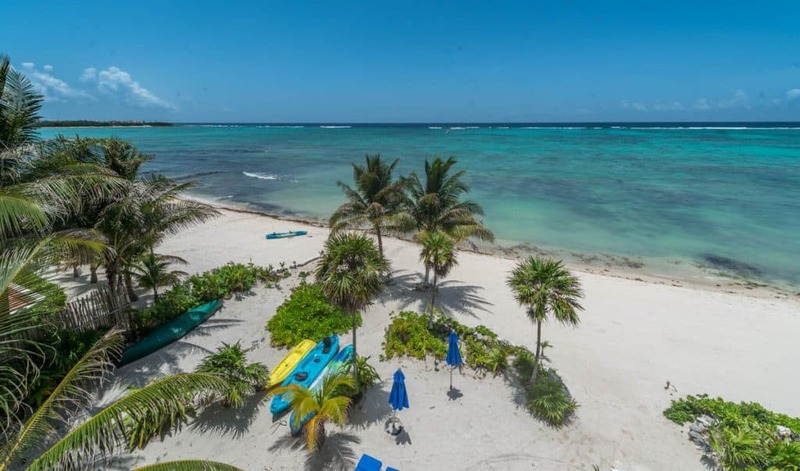 All three bays feature beautiful beachfront villas and condos right on the warm sands of these Akumal beaches. Beach walkers love to walk the curve of the bay while admiring the various vacation villas that have this beach as their front yard. This is a great beach vacation destination! To start planning your Akumal beach vacation, visit Akumal Vacations. The Caribbean is about sand, sea, sun and having a great time. This is exactly what you’ll find at Paamul beach. You’ll have a great beach day here with snorkeling, diving or kayaking. Enjoy some ceviche, tacos and a cerveza at the beachfront restaurant. Locals and visitors enjoy this beach so check it out for yourself. Paamul has a small, rocky, quiet beach. The sheltered cove has a reef close in, so you don’t have to swim far to snorkel. You’ll find Paamul Beach in the curved stretch of the Caribbean waters in a small bay north of Puerto Aventuras, Paamul beach features white sands with some exposed limestone and lots palm trees on the beach for natural shade. Here you’ll find amenities like a beautiful beachfront swimming pool, restaurant, Scuba Mex dive shop, a convenience store and private areas on the beach. However, it’s really the offshore coral reef that remains among the most breathtaking and well-preserved attraction on the Paamul beach. Zigzagging through the crystalline waters close to the shore, the reef can easily be explored. Visitors and locals spend hours snorkeling, diving and kayaking, admiring the schools of iridescent fish, in the coral gardens of Paamul. It’s easy to plan day trips to Paamul from Akumal, Tulum, or Playa Del Carmen. You can use your rental car, take a taxi or take a Collectivo, the local public van system that will drop you off in front of the highway entrance to Paamul. Paamul is 15 minutes from Playa del Carmen, 20 minutes from Akumal or 35 minutes from Tulum. Playacar is a gated resort community on the south-side of Playa del Carmen. This residential and all-inclusive resort area offers a long stretch of beach for resort guests and visitors vacationing in the vacation homes and condos of the subdivision. The wide and extensive stretch of white sand beach lies next to the calm and clear Caribbean Sea and is one of the best beaches in Playa del Carmen. Here, you’ll find volleyball, sand castles, Zumba lessons and simple relaxation. Agave Blue Bar offers beach side service with drinks and snacks in the mornings and afternoons. Food, drinks and the warm Caribbean sun, what more could you ask for! There is minimal outer reef break to shelter Playacar beaches from the big ocean waves. In calm weather this part of the Caribbean is great for swimming and snorkeling, but on the windy days it’s better to stick to beach combing or shallow wading. Playacar beaches are just south of protection from the Island of Cozumel, so the seas are more turbulent during high wind days. Take a break and move to the central or northern Playa del Carmen beaches to avoid large waves. Start planning your vacation today and visit our Playa del Carmen Vacations Travel Guide. Travel Guide. Full of lively bars, restaurants, beach clubs, shops, and hotels, its eminently walk-able downtown is one of the few places on the Riviera Maya where you can have a car-free vacation. Sunbathe and swim at trendy beach clubs by day, then drink and dance at nightclubs until the sun comes up and start all over again. In between, there’s an enjoyable array of diversions along Avenida 5, a pedestrian-only cobbled street that is the town’s main drag. Its southern section, from about Calle 4 to Constituyentes, is busy, noisy, and sometimes rowdy—the place to go for nightlife, tequila shots, and souvenir shopping. Its quieter, more upscale northern end, north of Constituyentes up to about Calle 38, is the place for chic cafés and stylish boutiques. Rapid development means a decline in Mexican culture, with chain stores and cheap souvenirs emerging on every corner (Starbucks junkies can easily get their fix.) It also means businesses open and close monthly, surviving on the hope they can offer a better service than their neighbors. Although building-height restrictions have helped to keep Playa from turning into the next Cancún, you’ll have to leave town to get off the beaten path. Much of the area is developed, most recently by a slew of all-inclusive resorts opening up on the city’s outskirts. If you plan on leaving the town center, be aware of your surroundings. A slight increase in criminal activity was reported between 2011 and 2013, most of which occurred outside major resort areas. 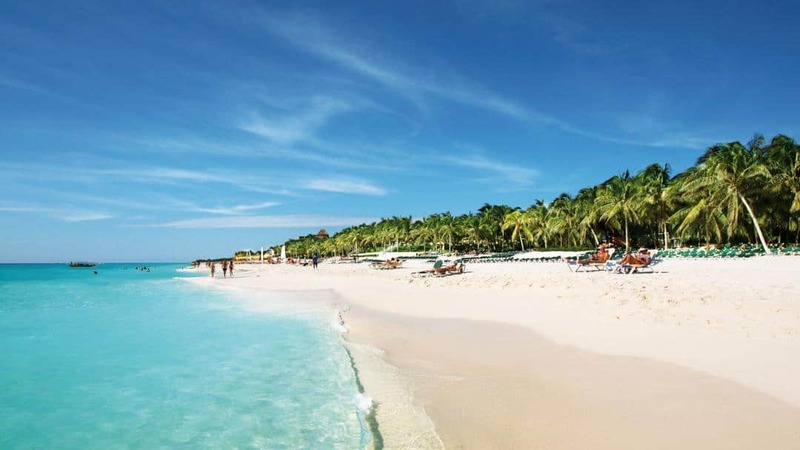 Two miles of white powdery sand make the beaches of Playa del Carmen a favorite for anyone. Enjoy the sunshine at one of the trendy beach clubs or mingle with other visitors on the central beach. Either spot provides ample opportunity to people-watch on the shores of this popular Caribbean destination. Looking for more than the sun? Water sports are in abundance and easy to reserve right on the beach. The sand gets quite hot during the day. On real hot days you may need to wear sandals unless you walk along the water’s edge. You will definitely need sun glasses for the glare off the white sand. There are bars located all along the coast in Playa. You need not walk more than 50 yards at any point to get a drink or something to eat. The beaches in Playa del Carmen are not as tranquil as other Riviera Maya towns, but Playa’s great location, hip beach life and long stretch of beaches puts it at the top of the list. Beach clubs, beach hotels and beachfront condos share the shores of Playa del Carmen making these beaches the public place to be during day. The beach is the center of activity and you will find lots to do. Puerto Aventuras is renowned for its marina and has some very nice beaches that can be enjoyed during your stay. With few vacationers knowing about the beaches of Puerto Aventuras, you will have the shore of the Caribbean to yourself or at least feel like you have it to yourself. Families like the intimacy felt on these beaches that provide a great playground for children. English exclusively and have the option to eat American food. Fatima Bay (the beach in front of the Omni hotel) is glorious, but the town itself is not particularly scenic. The main marina is closed off to boat traffic and is instead home to Dolphin Discovery’s dolphins and sea lions, which are fun to watch from the waterside restaurants and benches. Here you will find a gentle surf and a wide range of services along the shore. Puerto Aventuras beaches are some of the most family-friendly beaches in the Riviera Maya. Everyone is guaranteed to have a great time at Puerto Aventuras. Puerto Morelos is one of the few coastal towns of the Riviera Maya that’s maintained a measure of authenticity.It is still essentially a salty Mexican seaside village and nothing here has been prettied up for the gringos, and tourist traps are few and far between. With a wide selection of restaurants, a variety of nearby hotels, and a good road connecting the town with the highway, it makes a great base. Environmental laws and building restrictions have so far kept growth under tight control. This has prevented Puerto Morelos from becoming the next Cancún or Playa del Carmen—which many locals consider a blessing. The waters here are calm and safe; but, if you are looking for a spectacular beach, consider staying at a resort north or south of town. Puerto Morelos does have the superb Mesoamerican Barrier Reef, and is an excellent place to explore with a snorkel or scuba tank. The reef is healthy, meaning you’ll see plenty of marine life; but it is a protected national park, so you’ll need to visit with a licensed guide and purchase a mandatory MX$300 conservation bracelet. Home to many species of birds, the park is also a draw for bird-watchers. While simply lounging on the beach is always a primary objective while traveling in Mexico, there is so much to do here it would be a shame not to explore. 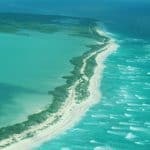 And the Sian Ka’an Biosphere near Tulum is a fabulous day trip excursion in the Riviera Maya. 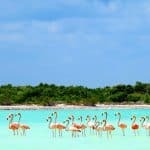 This UNESCO World Heritage site is best known as home to 23 archaeological sites, 336 unique species of bird life including a large number of migratory birds, and some of the most pristine and untouched beaches on the Mexican Caribbean coast. There are over 23 Mayan ruins in the Sian Ka’an Biosphere reserve. At only 50 pesos (or about US $3.50) per person to visit the ruins, it’s well worth it if you have the time. These ruins are much less crowded than the Tulum ruins further north, so you’ll likely have the entire compound to yourself! The largest pyramid ruin there is known as Castillo (Castle). Sian Ka’an beaches extend north of Tulum and south to Punta Allen. The beaches in the Sian Ka’an Biosphere are raw, natural, and diverse. Some are placid and protected, while others are exposed and rugged. All beaches are spectacular in their own way. If you really need to get away, this is the place to go! It is paradise as we know it and love the beaches in the area. Start planning your vacation today and visit our Sian Ka’an Mexico Travel Guide. Soliman Bay Beach is a off-the-beaten-track beach destination that has remained Riviera Maya’s best-kept secret for a long time. This secluded beach is perfect for a you to take stroll, snorkel the reef or just get away from it all by lying under a palm tree. The beach sand is fine, white, and silky. There are just a few rocks that make the coastline interesting so watch out for them on your beach walk. There is the extensive outer reef break that creates calm seas. Protected bay areas, like those found in Soliman Bay, are ideal destinations for families with children and those who are looking to participate in water sports. Kayaking and snorkeling are popular activities in these calm Caribbean waters. Because it is in a semi-private gated community, Soliman Bay beach is never crowded. The secure entrance into Soliman Bay deters many visitors from coming in the area and makes this beach very quiet. When most of Cancun’s beaches are busy with tourists, Soliman Bay still gives you that slice of tranquil tropical getaway that so many people dream about. This secluded beach is located in the very heart of Riviera Maya, making it easy to get to and even easier to enjoy. Soliman Bay beach is just 15 minutes north of Tulum, 20 minutes south of Akumal, and 40 minutes south of Playa del Carmen. If you are visiting for the day, try Chamico’s on the southern end of the bay or the Sahara Café at Hotel Jashita on the northern end of the beach. Chamico’s is a shack on the beach with some of the freshest seafood tacos found in the area. Sahara Cafe is more upscale with great beachviews. Many travelers agree that Oscar y Lalo’s restaurant, nestled right across from the highway entrance to Soliman Bay, is a great local restaurant for after the beach. Tankah Bay Beach is a tropical beache located approximately 8 miles north of Tulum. It is a private gated community comprising mainly of large luxury beachfront homes. Tankah Bay Beach is the next bay down from Soliman Bay Beach. There are a number of luxury beachfront homes and boutique hotels here. There is also a dive center, a couple of nice restaurants, and a small convenience store. One of the attractions of Tankah Bay is Casa Cenote which is a fresh water sinkhole. It rises to the surface on the west side of the road before traveling back through the underground cave system and re-emerging in the ocean in front of the Casa Cenote Restaurant. The large blue “Ojo” where the water flows into the sea is visible from the beach. Casa Cenote and Tankah Tres Bay are both excellent places to swim, scuba, and snorkel. The sand at Tankah Bay is very different from other Riviera Maya beaches, making the sand feel much coarser on the feet. The beach is made up of pulverized coral and shells which is very different from the soft sands of Tulum or Playa del Carmen. Tankah Bay is a snorkelers’ underwater Heaven. The offshore coral reef is filled with colorful fish, large schools of fish and great coral. 200 meters from the shore is yet another wonderful snorkeling Manatee Cenote. Manatee Cenote also known as Casa Cenote is a mangrove cenote that has become home to many fresh and salt water fish. Located seconds from two great restaurants – Casa Cenote and its next door neighbor Blue Sky Hotel Restaurant – snorkeling and lunching is a regular activity in this part of the Riviera Maya. On the southern tip of the Riviera Maya, the former hippie outpost of Tulum has become Mexico’s most stylish beach destination. Once a sleepy beach outpost, Tulum has become a fashionable yet low-key escape. During the past decade, stylish & chic Mexican hotels have ben built here, along with a wonderful global cuisine including Italian, Asian, and Middle Eastern accents. To reach the Tulum beaches outside of the Tulum ruins, take the Coba road east in the direction of Boca Paila and bear right on the Tulum beach road. There are beach clubs located along the Tulum beach road, where you can use their parking, restaurant and beach chairs for the mere cost of a lunch. If you prefer not to use a beach club, turn to the left at the end of the Coba road and seek out the old Santa Fe Beach where locals and regular visitors hang on the beach. With the soft white sand under your toes, you’ll understand why Tulum beach is a bohemian beach destination. Long stretches of uninterrupted beach allow for long walks, privacy, a feeling of solitude and few other people sharing your little paradise. The sand is finer than other beaches, and the water can seem ‘bluer’ than other cities. Tulum beaches are loved by locals and visitors alike as people are scarce and beauty is abundant on the shores of Tulum. The simple pleasures found on the beaches of Tulum remain timeless! 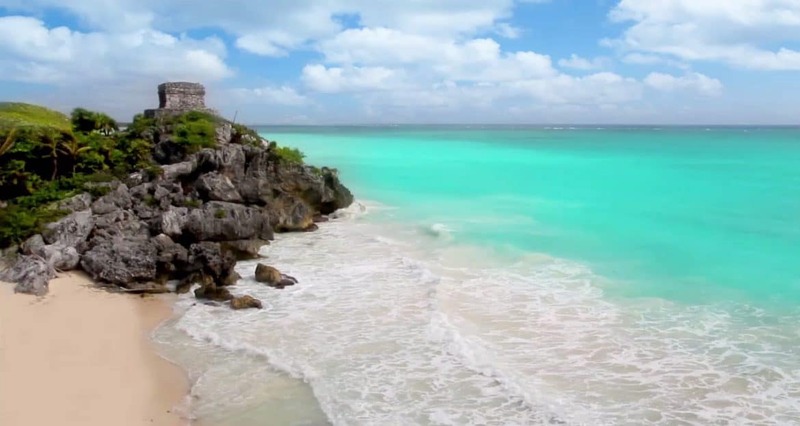 Start planning your vacation today by visiting our Tulum Vacations Travel Guide. Xcacel Beach is an incredible beach with deep white powder sand, 119 km south of Cancun on the Mayan Riviera. You access Xcacel Beach off of Hwy 307 between Chemuyil and Xel-Ha, down a dirt road to a single-chained gate. A guard should approach you or you will see him when you walk onto the beach. Pay the guard 20 pesos each and he will let you in. There is no security here and no amenities. During the turtle-nesting season you should stay away. May – November. This beach has white powdery sand and a nearby cenote that can be accessed through a jungle path to your right. Snorkeling is best on the beach’s north end. To reach it from Carretera 307, turn at the dirt road that runs between Chemuyil and Xel-Há. The route is blocked by a guard who will charge you M$30 to enter; after paying, simply continue on to the beach itself. From May through November, this area is reserved for turtle nesting. Avoid stepping on any raised mounds of sand as they could be turtle nests. Note that the beach road is open daily from 9–5. When you visit X’cacel beach, the local sanctuary requests a donation of 10 to 20 pesos per person to ensure their protection program remains. This donation helps the ongoing research that goes on at X’cacel throughout the year. We find this a small fee to access some of the most private beaches in the Riviera Maya. This fee also covers your entrance into the small cenote that is hidden in the jungle off shore. Unknown to many, X’cacel has a small mangrove cenote for freshwater swimming. We have always thought of the cenote as a nice added bonus to our X’cacel visit. In addition to the soft sands of the beach and the jungle cenote, X’cacel is a wonderful snorkeling destination. Snorkeling is best off the northern end of X’cacel beach where you will find a small but beautiful coral reef worth exploring when the seas are calm. 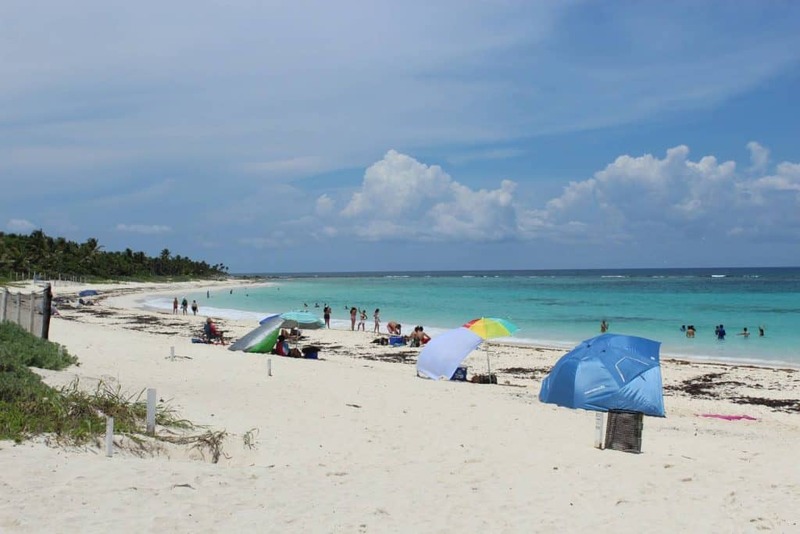 One of the secret beaches and local hangouts of the Riviera Maya is Xpu Ha beach. Located just south of Puerto Aventuras, Xpu Ha is a delight for beach lovers looking for that Caribbean post card scene. Wade out into the turquoise waters of the Caribbean and be swept away by the freedom of the sea. Beachside restaurants offer fresh fish tacos and ice cold beer making Xpu Ha beach an easy place to put your beach chair for the day. Even during high season, Xpu Ha maintains its kicked-back charm and uncrowded feel. Xpu Ha has more locals than visitors on this beach as it is local favorite. The sand, calm surf and local restaurants are the draw, with vast beach areas the highlight. Bring your own picnic or grab a chilled cerveza and fresh seafood at one of the few Caribbean beach bars located just a short stroll from your palm tree or beach chair. On calm days, Xpu-Ha beach is an ideal spot for snorkeling, swimming, kayaking and fishing, while its soft sandy beach lends itself to such fun activities as beach volleyball, beach soccer or soothing yoga sessions. Bottom line is: If you are dreaming of an idyllic, uncrowded stretch of perfect white sand and shimmering waters of the Caribbean, Xpu Ha Beach fits the bill. Being one of best examples of everything the Riviera Maya has to offer, this little slice of tropical paradise looks gorgeous in pictures, but even more beautiful in real life. When should you travel here? Like most of the northern tropics, the Yucatan Peninsula is especially hot and humid from May to September, which is the rainy season. Although hurricanes are not as common in the Yucatan as they are in the Caribbean islands, hurricane season still runs from June to late November. During these months, the region usually sees a few strong storms, if not full-fledged hurricanes. If you want the best weather in the area — still sunny, but milder and with less rainfall and virtually no risk of storms — plan your vacation from December to April. Wow Leahrae. This really made me want to go travel. There is nothing better than the white beaches and crystal clear water. I’m thinking of going to Mexico after I’m done school which would be around July. Do you not recommend going in this season because of hurricanes and humidity? That’s a nice list you’ve compiled. The only place I’ve been in Central/South America was Cancun one summer many years ago. I was burned to a crisp, but it was fun nonetheless, lol. Do you know if any cruise lines make stops to these locations? Obviously, the more secluded ones don’t have ports, but I’m just curious. Yes, they do. They stop in Cancun, Cozumel, Playa and Costa Maya 🙂 All are in the area. Fantastic write up on the Riviera Maya Beaches! Thank you. Is there a way to book packages to spend a couple days at each of the beaches and if so, what order would you recommend is the best to visit them in? Also, I love snorkeling, but the little one is too small for this. Do you know of any glass bottom boat trips that we could go on while travelling to these resorts? Hi Marc, The best place I have found (and I am not an affiliate 🙂 for VERY reasonable packages is cheapcaribbean.com. I would call them and see if there is any way to book a package to include different locations. I bet they can accommodate….I know they can 🙂 I don’t think the order matters at all. You will want to fly into Cozumel and there you will find a TON of glass bottom boat and submarine tours. They are amazing and everyone always has a blast. you can take the Ferry from Cozumel to Playa del Carmen which is a safe trip. Then you can stay there for however long you’d like. Traveling to the west, next stops would be Akumul and then Tulum. I mention these because these locations is where you would want to stay over night. There is a ferry that can take you back to Cozumel from Tulum when you are ready to depart for home 🙂 I’d be more than happy to put together something for you when you are ready or would like to know the actual cost and itinerary…just need to know dates and for how long. The Playa del Carmen is going on my bucket list. You have stated a handful of great beaches and now I really don’t know which one I would like to see next. The playa del carmen is great because it has lively bars which is a big plus for me but which one would you recommend I take my family to see? Very great article by the way, seeing this makes me want to work 10x harder now so I can check these beaches off my bucket list. Soliman Bay Beach is probably the best family friendly beach. That is where I would go and then you can go to some of the other beaches that are fairly close. Glad you enjoyed the post Jaime! These places look like a dream vacation for me and my family! The pictures are really beautiful and inviting and the water very clean. 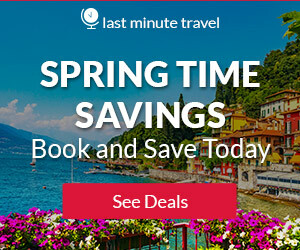 Is there a best time to visit all these places? I think I would love a spot of snorkelling and also visit the Temple of Kukulkan in Tulu. Wow, great post on the beaches in Mexico. The only place i was in Mexico was Tijuanna and we weren’t at any beach. You made me feel like I was actually at those places with such a detailed description. What would be helpful to me would maybe be a map of Mexico where you have dots/points on the map where each beach is. It would give me a better idea of the location of the beaches if i was planning my vacation. All the beaches on this page looks extremely attractive but my favorite one is the Riviera Maya beach. I live in Massachusetts and we really don’t have any great beaches here so I haven’t been going to the beach at all, I haven’t been to the beach in a very long time. However, if I had the ability to go to any one of these beaches it would probably be a great experience for me. I think you would really enjoy it. Mexico can’t be beat. I have been at least 15 times. Closer to home for you would be Florida, and honestly, they pack AWESOME beaches for great vacation prices, especially if you stay on the Gulf of Mexico side 🙂 Thanks for your kind reviews! Hi there. I always enjoy coming onto your site and getting refreshed all over again by seeing the lovely beaches you talk about. You’ve got a really good thing going on here ! That is going to be my next topic once I finish with Mexico 🙂 I am going in order of the places I have been to, love, and am familiar with! Reading your post about beaches made me want to take a fly right away to one of these beaches. I would like to go to Puerto Morelos Beach since the waters are more calm and safe. I also would like to visit Sian Kaâ€™an beach. It’s sounds very interesting to explore pyramid ruins and know the history behind these places. Yes, I agree! I have not been to the ruins, it’s on my bucket list for sure but the Riviera Maya, for one, are wonderful beaches. Thanks for reading Lethicha! Wow these beaches all look spectacular! I’ve never been swimming in turquoise water like I see in the pictures. But I really want to! All these beaches look like perfect places to do so! The sand is so incredibly white and soft looking too. 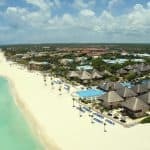 Thanks for this great list of beaches in Mexico! I will definitely consult it when I travel to Mexico. Thank you Christina! Nothing compares! Hi Leahrae, thank you for the beautiful beach recommendations in Mexico, seeing the pictures – the spectacular view and crystal clear blue sea, Oh, I really feel like flying to the beach to unwind myself. I always thought that the heavenly beach islands are only found in Maldives. Now, I have more choices. I am from Malaysia, is there any way that I can fly cheap and get a decent hotel stay in Soliman Bay Beach? How much should be my budget? When you said it is an ideal destination for families with children. I can’t say how much the flight is going to cost from Malaysia. I would say that it is dependent on when you take your flight, etc. There can be several aspects to getting lower airfare. Yes, it is a family friendly destination and quite reasonable to stay there, even at an all-inclusive resort. The airfare would probably be your main concern. Thanks for looking and leaving comments Jenna. Wow the water looks so beautiful, I have been to Cancun but that’s was years ago. I have dying to go back to Mexico. I do have to admit what keeps holding me back from going back is my concern for my families safety is it still safe to go down to Mexico as long as you stay clear of the border town in you opinion. Wow, those are gorgeous descriptions and photos. I spent a summer in the Caribbean and I so want to go back to a place like that again some time. Maybe to an island in the Pacific (which I will buy after I win the lottery – the island not the ocean). I love the idea of being able to watch turtles nesting but I totally understand why people need to stay away from it. There are some pretty good beaches where I am from. Here in Nova Scotia there is some great cold water surfing. And Prince Edward Island, where I am from, has great white sand beaches. A cheaper destination for people in North America. But I think my soul would be happiest at the Riviera Mayan beaches. I agree Sandy….well my soul belongs to any good beach :D. Yes, if I won the lottery, I think I’d buy me an island too! Such beautiful photographs of beaches on your website with very interesting content-one day I wish to experience beaches like those in your article. With blue/green waters, sandy beaches and such beautiful sunny days. Have you visited any of these beaches yourself in person, you must really enjoy writing about such places to share with everyone. I love going to the beach. I have been to Mexico but none on the Riviera Maya. I have had friends who have been to these locations. Yes, I love writing about these places, it is a big passion on mine! Strolling on the white sandy beaches as the waves lap at your feet. The water is so clear you can see to the bottom for quite a ways. Children are making sandcastles, while their parents watch and sip drinks that the servers bring them from the bars further up the beach. A man lays in a hammock swinging between two palm trees a book laying on his chest and his hat covering his eyes while he naps. Everywhere you look everyone is laughing and smiling and having fun. And who wouldn’t if they weren’t at the Riviera Maya beach on the Mexican side of the Caribbean. One of the top beaches to go to is the Akumal Beach, an hour south of Cancun. It has some great places for snorkeling and scuba diving because of the coral beds and tropical fish that live in them. Of course, the beach also has great shops, restaurants, and accommodations for those who want to enjoy the atmosphere for a few days. But if you’re wanting more of an all inclusive kind of vacation then the Playacar gated resort is more your style. The long beach is surrounded by condos and vacation homes. You can play volleyball, take a Zumba lesson, or just lounge in the sun. There is beach side service for drinks and snacks. There are bars all along the coast so you will never go thirsty. Wow, you need to write for me! Have you been there as well? Thanks for the great review! White, sandy beaches are always a gem to look at for me, as the place where I come from, the beaches are a result of land reclamation. Thus, the sand will not be like what you expect it to be and the sea water is often salty. So it’s great that you have recommended all these beaches. Mexico does seem a little “out of the way” for me, as I live in south East Asia. Are all the beaches you mentioned easily accessible? Are they too secluded, or are they quite near towns or city area? It would be cool to be able to travel very quickly to more urban areas for other holiday opportunities. Thanks a lot for the great article! Some of them are more accessible than others. The ones that are going to be the easiest to get to are Playa Del Carmen, Akumal Beach, Soliman Bay and Tankah Bay. Thanks for visiting Farhan! I am staying in London right now and seeing your pictures just makes me want to book a flight and go to those beaches you just reviewed. 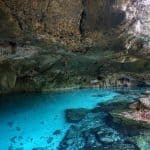 It seems like Riviera Maya is filled with wonderful beaches but how much does it cost to spend a weekend with a decent but affordable one that you just showed. Say I have 500 USD. Would that suffice for a nice hotel with breakfast? Yes, you can get 3 nights with air included and stay at an all-inclusive resort which includes everything! There are bargains. The best place to check for the rates are with http://www.cheapcaribbean.com They have a lot of wonderful deals! Thanks for your post about all these awesome beaches. There sure are lots of great beaches out there. I’m actually planning a summer vacation. But, I don’t actually know the best place to go. Can you recommend me the beach that I can go and maybe some good and budget trip package? I’m currently staying at UK. The cheaper option will be better. Thanks. From my experience, some of the best (and I think it is the best) and MOST affordable is in Florida. Mexico is fairly reasonable to fly to but staying there and the food can get pricey. If you go on the west coast of Florida (the St. Pete area) you can have a great time and it’s reasonable. The last time I went, I stayed right on the beach in a condo, for about $500 for the whole week. I had my own place with a kitchen, washer and dryer, and all. I thought it was a bargain! That’s quite a list! I haven’t been to Mexico yet myself but those images and descriptions do make it very tempting. Just wondering, what time of year is the best to go to those destinations? Is it hot and warm there year round or do they have seasons? Hi Andy – The best time to visit Cancún is from December to April during the peak season. Even though the crowds are heavier, you’ll have near-perfect weather and find some of the cheapest flight and room rates for a winter getaway at the beach. Thanks for visiting!